"I wanted to start a discussion about the timers and an API that exposes the capabilities of the system timers. A couple of things I noticed were that the timers use CADisplayLink on the main thread and also listen to the UIApplication state notifications. To my knowledge this works well for timers that are coupled to the UI (requestAnimationFrame comes to mind, there may be other uses). I'd like to discuss timers that do other work e.g. interact with the event loop or schedule background tasks, and how they co-interact. Event loop timers seem to fall into two categories - those that run at the end of the current loop and those that run right after. This is like process.nextTick and setImmediate. These aren't too hard to implement though there are a couple of gotchas like warning if a process.nextTick handler endlessly schedules itself before blowing the stack. I would also expect both of these timers to run even if the app is inactive or backgrounded (e.g. say you get a network response while the app is backgrounded and schedule some work to run soon after - it should run in the background). Background task timers (setTimeout, setInterval) raise a couple of questions like the semantics of a zero-ms timeout. I would also propose that these run in the background as well to address the use of running code that does not need the app to be foregrounded. And, if the app is backgrounded there is little harm in running UI code anyway -- in cases where it does matter, the timer handler can check the UIApplication state. Note that these timers will only fire if your iOS app has a valid Background Mode in use to prevent it from being suspended after a couple seconds (which is the fate of all iOS apps, native or not, if they move to the background without a Background Mode in use). +1 Any solution? I need this feature to finish my project. @Harsha Goli: Thanks Harsha. I will look for this. It is much needed feature plus it should allows you to schedule background task at specific time. To @Anthony Benkhebbab 's point: I started using Headless JS for background execution on Android but noticed that the "main" app with respect to non-UI aspects was still functioning, could even continue to persist to the redux store. What does Headless JS do that the main/UI app can't? @Bren W: as I said the JS context is not getting destroyed while there are some services up and running. On android, once your app goes to background it's eligible for being destroyed by the OS to free memory required by an other active application (e.g music, videogame..). This is when your JS context get lost. To overcome this, Headless JS uses a Service (that can run even through the app is in background, or even closed) and acquire a wakelock for it to operate even when the phone is locked. As the service can only start after the app itself started, and as the JS Context is kept until the main activity itself gets destroyed, your JS code can still run, your redux store is still alive. I think the main error is to think that when your app goes to background/when you closes the app, the JS context gets destroyed. I don't know the details, but it is not really until the whole process is finished. @Anthony Benkhebbab: Thanks, that explains it. So while I am currently seeing activity in the UI app even when it goes to the background (not views, but business/redux logic), there's no guarantee that it won't be destroyed by the OS at some point, to free up resources or what not. And of course not to mention wake lock. So I will keep all of this logic that needs to run in the background in headless js. By the way watchout for phones with API > 23 running Stamina modes and stuff to optimize battery usage. I've taken quite a lot of time to figure out my app was getting closed due to battery optimizations. I did a library for Android where you can schedule a repeating task that periodically will execute JS code in the background even though the app was killed or the phone was rebooted. It uses Android's JobScheduler and React Native's HeadlessJS. To get it working for iOS I would need Headless JS to be ported to iOS. The timer is not very exact (due to power saving) but it works for our use case. Just to want to add my voice to this feature request. We use beacons and handle their events in JS in order to send them to our API. It's really frustrating that whenever we try think about implementing retries/throttling/debouncing we can't because it isn't supported in background mode. This kind of location tracking is dependant on the app running in the background so it requires a lot of workarounds for us to support things such as retrying failed requests (with delay) when network connection is not available. We could handle some of this natively, but it kind of kills a lot of the benefit of react native being platform agnostic, as well as there being lots of JS tools available to support timer based behaviour. oh no this is super needed. After I ported my webApp in two days-- Well yes just two days, but working around 20 hours a day-- i was just as excited how I would get the background execution for free... Well nothing is for free! Come on guys this is feature is crucial, isn't it? my use case is motion/sensor monitoring app. I am writing VoIP app, so background execution is super important. iOS appears to have fewer but none are immediately obvious as overlapping directly with the Android options. This component works in a simulation. Thank you!!! For my own usage I am working on an app that has scheduling and reminder needs. If the app is not in the FG or not running then I still need to notify the user of an event. I can partially work around this if the user is connected to the internet by way of having the server track the timing of events and sending push notifications. If the user is not connected though the app becomes much less usable. +1. I had to leave out a local notification feature for our event app because this isn't available. Would love to have this! Having a background timer that won't stop when the app goes to sleep will really be useful! At the moment, I have to implement in native a service for continuous/repetitive background tasks. @acctforpp: can you share how you do these background tasks? 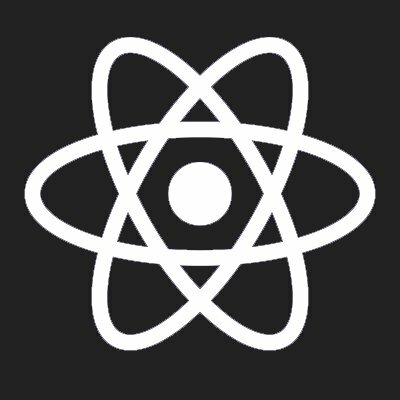 This would be a very useful feature -- a solid implementation of something like a Pomdoro app (https://github.com/exponentjs/pomodoro) isn't possible at the moment because if the app sleeps, timer execution pauses immediately. This is one of many use cases!